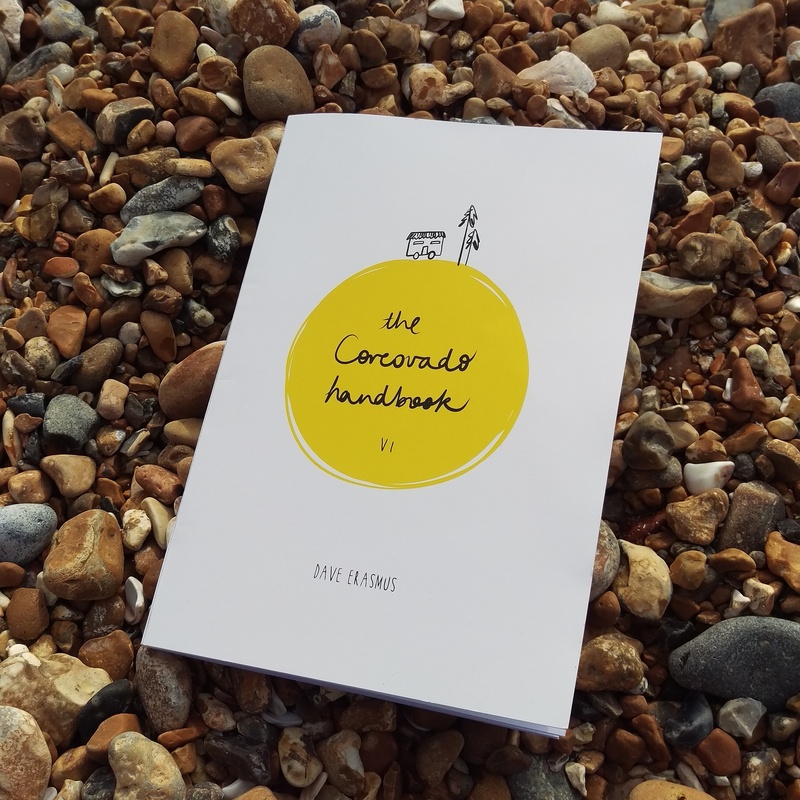 “Corcovado thinking is a state of mind” – The Corcovado Handbook by Dave Erasmus. If you are already rolling your eyes, saying what is this ‘hippy sh$%t’ – move along. There is nothing I find more insulting than people dismissing other people’s ways of thinking, their personal beliefs, hobbies/interests or how they choose to live their life. If we all walked, talked and lived the same, it would be a dull world and we would never learn anything from each other or experience anything new. If you are sticking with me, yay! – buckle up…. We play a small part in a pretty awesome world, yes it needs ALOT of nurturing, more gratitude, compassion, kindness and ALOT less greed, it’s a work in progress. We spend our time on earth ‘busying’ ourselves trying to find our way, navigating education, careers, bank balances, housing chains and fancy cars, in the hope to reach the ultimate goal of ‘Happiness’ – are paper and metal currencies the only way to reach this state of mind? or can you find it through the currency of time? INTERLUDE – Before reading on, please visit this article by Doug Zeigler. He articulates the currency of time perfectly. Read here. For many many years, I have watched people compare what houses, possessions, incomes and holidays they have to others. I think because I have seen how unhealthy it is to make such comparisons, I do not compare. To be honest I couldn’t care less what car Dave is driving, where Mrs Smith does her food shopping, where Frank goes on holiday or what designer dress Karen was wearing to drink cocktails in last week. The sad part I find is witnessing people sink in to huge amounts of debt just to keep up with the Joneses. There is also seeing the disappointment: Jack and Jill paid £3000 to be whisked away for the weekend to an exotic, exclusive sandy beach in the Maldives, where their friends Gemma and John went last month and had the “most amazing time”. Jack and Jill came home disappointed. It wasn’t what they were expecting. John admitted he would rather have gone to the Norfolk coast where he enjoyed holidaying as a child and Joan would have been happier shopping in Norwich. They now have to spend the next year paying for that ‘exclusive’ holiday because it was paid for on credit. Sad eh? Sometimes it pays to stop and think. Is it really about how much money we pay for something or is it about the time we spend together? If someone chooses to spend their currency of time to give me a ring, just for a chat, that means more to me than someone buying me an expensive gift. During the Summer this year we had our niece and nephew stay with us for a couple of nights. After taking them round visiting other family members we found ourselves with only one day spare for us to do something together. We toyed with a zoo visit, soft play and eating out. All of which don’t come cheap. But we had a realisation. At 4yrs and 2yrs old, all they are worried about is, where can they play? and is there food?. Both of which were readily available at our home. So we made the choice to stay home. Barry and I spent the day making dens, sculptures from playdoh, role playing a police station and enjoying a picnic in the den. It was perfect. Time together well spent and lovely memories that will be treasured. We made that choice. This leads me perfectly to ‘Choices’ we make. Choices are always happening…shall I get up now? what shall I eat? what shall I wear? – these have a low-impact on the chooser’s life. Then there are more complex choices which might involve, who to vote for in the next election, what profession to pursue or a life partner. These Choices have multiple influences and have larger ramifications. BUT there is a third choice category, which I have named ‘Mindful Choices’ – these choices crop up every day yet they don’t always reveal themselves as ‘choices’. For example: ‘John had a missed call from his friend. He never returned the call. John bumped in to his friend in the street. John expressed how busy he had been that week and had been too busy to ring his friend back.’ – This situation contains a ‘Mindful Choice’ to put it bluntly, John made the choice not to call his friend back. He didn’t prioritise his friend, he was too busy being ‘busy’ – This is term that is used too often in today’s society. I have had it used at me personally, when trying to arrange to meet friends who are ‘too busy’ to drink a coffee a with me, or too busy to lend a listening ear. I know I am not perfect, I know I have been guilty of this too. What is important is to recognise these types of choices and make small changes and if you are genuinely ‘too busy’, take a look at the choices that have led you to be in that kind of situation and assess your priorities. Last year I was driving through a local town, a lady was about to cross the road, as she took one step off the pavement, the car in front of me chose not to stop but to speed up, which caught the lady off guard. I sat and viewed the lady, now in the middle of the road, back to me, waving her arms, clenched fists and speaking profanities aloud, I then observed her pacing off down the road angrily. That was how she chose to deal with that situation. She got angry, she probably went home angry, ranted to her partner and poured a large wine to cope with the stress that moment had caused her. As I drove away, continuing my journey. My over analysing mind kicked in. That lady could have made a better ‘Mindful Choice’ she could have turned to the car that had stopped (ie: me) to let her cross safely and waved a thanks, turning her attention to the good in the situation. I would have smiled, gave her a gesture of no worries. She then maybe would have enjoyed her walk home, greeted her partner with a smile and gone on to enjoy her evening. There is always a choice. It is just up to you to choose to see it. Sitting in the park on a glorious summers day, you have the choice whether to sit there mind immersed in a scrolling fest, checking facebook & getting that instagram shot, OR, put your phone away (even better switch it off), close your eyes and feel the sun on your skin, the breeze in your hair, hear the sound of birds singing and choose to experience and enjoy that moment. Last week when I went on a solo trip to Brighton to see the film showing of ‘Once Around The Sun’ by Dave Erasmus. A must see. The film show cases beautifully the transition of all four seasons in the woods of Sussex and the journey of Dave living on and off grid. It was an inspiring evening. It left me buzzing. So much so I could not sleep back at the hotel until about 4am because my mind was full of the discussions that took place. It was an absolute pleasure to be around and chat to like minded people. ( I shared a little more on my instagram, if you want to read it click here) It was quite an adventure for me. Corcovado was the name Dave assigned to his experience. Inspired by a few years previous, a visit to the Corcovado Rain forest in Costa Rica where he went on a soul searching pilgrimage. He experienced the rain forest and what a biologically diverse piece of the world it was. He hoped to recognise a small part of that rain forest in the woods where he began his sustainable off grid living. Corcovado set out to became a place of reflection. A place to reflect on lives, modern society, technology, capitalism and democracy. Corcovado is not a place, it is a state of mind. Something that has stayed with me is Dave’s chat on ‘Being Successful’ – What do you class as being successful? – What if being successful wasn’t about money in the bank, career progression, owning a 6 bedroomed home or driving a Ferrari? How about it being more to do with having successful relationships around yourself. I compared my life, I am not in a high flying job, I do not earn seven figures and I do not have a fancy car. Does that make me unsuccessful? Then thinking with Dave’s perspective, I have great relationships: with Barry, my family, my in law family and close friends. I am lucky enough to spend quality time with all the people that mean the most to me. I have been blessed with many treasured memories of moments and experiences that we all have shared. The relationships I have, know that I am always there for them and that is reciprocated. We always show gratitude, compassion and understanding between each other and we show support and above all love. I am successful. Are you? For me, Corcovado represents taking that extra time to think. To think about ‘currencies’, to think about my ‘choices’ and to concentrate on continuing to be ‘successful’.